The U.S. economic downturn may be coming to an end but the lessons learned by workers – including the value of a paycheck and the importance of protecting their finances – will reverberate for years. As workers strive to safeguard their incomes, an insurance product that warrants serious consideration is short-term disability. After all, just over one in four of today’s 20-year-olds will become disabled before reaching age 67. 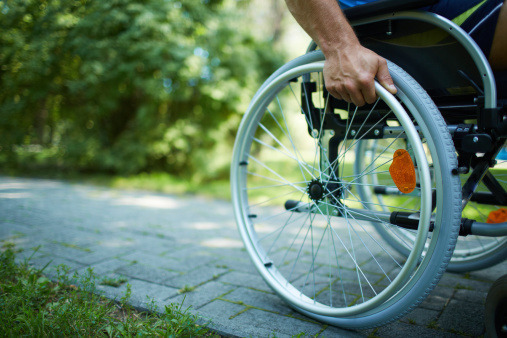 What is voluntary disability insurance? Short-term disability insurance is one of many voluntary insurance policies available to help workers cope with out-of-pocket costs associated with serious accidents or illnesses — costs major medical was never intended to cover. In the event of a physician-documented disability, participants receive cash benefits that can be used to help pay for daily living expenses, such as the mortgage or rent, gas, groceries, utilities and other necessities. It’s important to note that workers who become disabled may lose more than their ability to earn a living: They may also lose savings, retirement funds or even their homes. Disability insurance plays an important role in financial planning and safeguarding their financial futures. I had an accident back in January where I ruptured a disc in my neck. I had to file a claim under my Aflac short-term disability and accident insurance policies. Having Aflac helped to take away the stress of worrying about how I was going to pay my bills. With the amount of money I got back from Aflac, I was able to pay my bills for six months. What shocked me so much about Aflac was how speedy they were. Within four days, the check was on its way to me. My Aflac insurance agent, Debbie Carter, was able to assist me with my claim. She is an awesome agent. She even called me while I was out on disability just to check on me, asking if I needed anything, if I was OK and if I got my claims processed. The need for disability insurance protection is crucial, particularly among primary wage-earners. Because disabling injuries or illnesses often lead to significant medical bills, anyone who works – whether they are single, married, with children or without – should consider voluntary disability coverage. Benefits that are paid for both total and partial disability. Coverage that’s sold on an individual basis. Although many workers assume they are protected by employer-paid disability coverage, a growing number of companies have cut back on the benefits they offer. A decade ago, it was commonplace for a company’s internal disability plan to pay an employee 70 percent of income if disabled, but workers today usually receive much less. You can find out more about disability benefits here.